Are you on the fence about calling a Palo Alto plumber for hot water heater repair? A lot of homeowners notice there is a problem with their water heater, but put off calling for professional plumbing service because they fear the unknown. They are fear a huge repair bill. 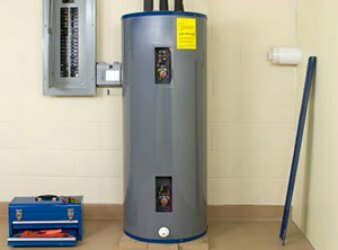 My Palo Alto Plumber Hero understands our customers’ concerns, which is why we offer valuable water heater maintenance tips as well as 24-hour water heater repair service. So, the big question. When should you call for professional repair services? Here are some guidelines that will help you make the right call. If your hot shower is turning icy shortly after you turn on the water, you may want to check the thermostat before you call a plumber. Water heaters are equipped with thermostats that have three different settings. Ideally, you want the middle setting. This setting is comfortable for most and is also saves the most energy without giving up comfort. The thermostat may have gotten bumped if you were recently messing around near the unit or someone may have changed it. When the thermostat isn’t the problem, you may have burner that isn’t working or, in the case of gas-powered units, the pilot light may not be lit. Homeowners who feel comfortable relighting a pilot light can try this repair. Otherwise, call a licensed plumber in Palo Alto to take help you with these issues. Hissing, popping, or whirring sounds are not normal for a water heater. This appliance does make noise while in operation, but it shouldn’t be a noise that makes you take pause. Popping sounds that occur after the heater has been on for a while could indicate a buildup of sediment in the tank. Annual flushing can prevent this problem and is something homeowners can do themselves. Although, we recommend contacting a Palo Alto plumber if you feel uncomfortable with this task. Lastly, we recommend calling for water heater repair service any time you’re uncertain about the performance of the unit. It’s always better to err on the side of caution. For more hot water heater maintenance tips or to schedule an appointment with a 24 hour plumber at My Palo Alto Plumber Hero, call us today! 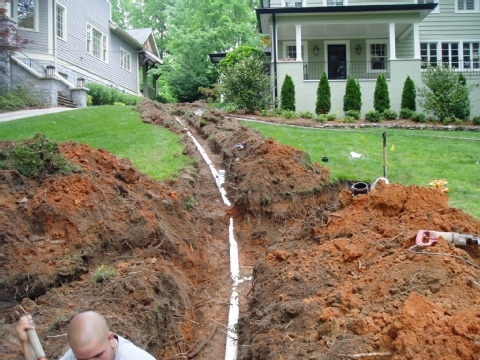 Sewer lines run beneath buildings, pavement and landscapes to connect with the city utility network or local septic system. They are also buried many feet underground, which can make it difficult to access them for troubleshooting, cleaning and sewer line repair tasks. Fortunately, developments in plumbing technology help homeowners avoid the nightmare of excavating their sewer lines. How Does Trenchless Sewer Repair and Replacement Help Customers? Perhaps the most important benefits of trenchless sewer solutions is that they save homeowners on labor expenses. It can take days to dig up pipes around a house and bury them again, but it only takes an hour or two to slip a flexible lining into the pipe from a remote location. This means that the technicians spend much less time on site, which saves the customer time and money. Trenchless techniques are also minimally invasive, so you don’t have to sacrifice carefully manicured lawns to fix a serious plumbing problem. It’s even possible to clear our tree roots and stubborn blockages without unearthing the entire sewer line. Professional plumbers can examine the insides of your plumbing system from a distance so they can develop a solution that fits your needs. My Palo Alto Plumber Hero is a licensed and bonded contractor that has been serving the Palo Alto area for years. As a local business, we value our relationships with every single client, no matter how big or small their needs are. You can always count on us to deliver excellent results at an affordable price, whether it’s a small maintenance job or request for urgent repair work. We also offer 24/7 emergency sewer line repair services in Palo Alto, so you don’t have to wait until the next day to get help. Our technician will meet you as soon as possible if you have a pressing concern, so you can start working towards a solution as fast as possible. Give us a call to learn more about our services or request an estimate for your project.